San Francisco, Oakland and seven other California school districts sought escape from the impossible requirements and severe sanctions of the federal No Child Left Behind law Thursday, applying together for a waiver that has so far been granted only to individual states. 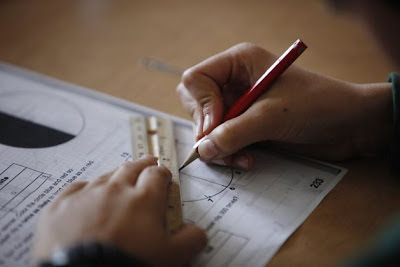 Without the waiver, state schools must continue to operate under NCLB, which has required them to ensure an increasing percentage of students reach proficiency in math and English or be deemed a failure. California, however, is not among the nearly 40 states to get a waiver from the law because it refused to comply with the requirement to evaluate teachers based on student test scores. The nine California districts have collaborated to create their own plan, which will rely on data that goes beyond test scores to judge schools. "Under the current NCLB system, teachers stand before their classroom of 35 children and are forced to see test scores. Under the new system, they would be able to see their students as the complete person they are," said Phil Halperin, senior partner at the nonprofit California Education Partners, which encourages education partnerships and sponsors the coalition. "Teachers have been demanding that for years now." The consortium of school districts, called the California Office to Reform Education, also includes Los Angeles, Long Beach, Clovis, Fresno, Sanger, Sacramento and Santa Ana. Together they represent 1 million students, an enrollment that surpasses the vast majority of individual states. The nine superintendents emphasized Thursday that they don't want to avoid accountability, but actually measure success across several criteria. Participating districts would essentially police themselves and each other, holding the entire system accountable for student attendance, suspension rates, graduation rates, parent participation and test scores. Schools that don't reach milestones in any of the categories would get additional support and training from experts in the area of concern. Under NCLB, even high-scoring schools have been deemed failures over the past several years as the federal proficiency goals have pushed higher. By 2014, the federal law requires 100 percent of students be proficient. It's an impossible goal for virtually every school, yet those receiving federal Title I funding for low-income students face sanctions, which include setting aside funding to bus students to better schools and employ private tutors as well as sending letters home advising parents that the school is failing to meet federal guidelines. More serious sanctions include replacing principals and teachers or even closure.